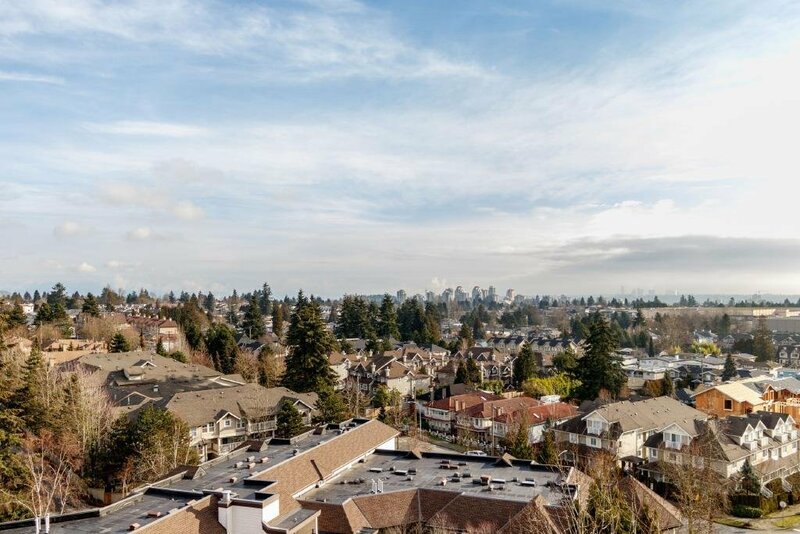 A beautiful penthouse with a stunning, unobstructed North Shore and Mt Baker view, a huge balcony, vaulted ceilings and a large storage room. 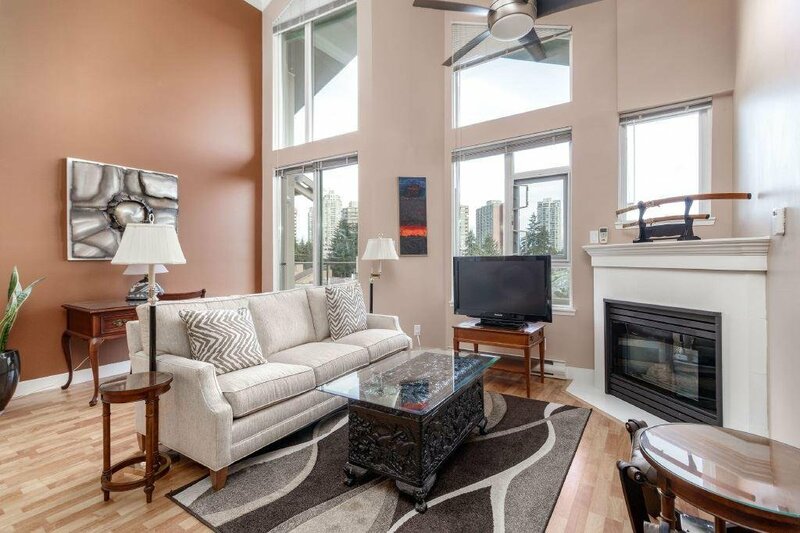 A gas fireplace (included in the low monthly fee) for a full enjoyment of this one of a kind property. 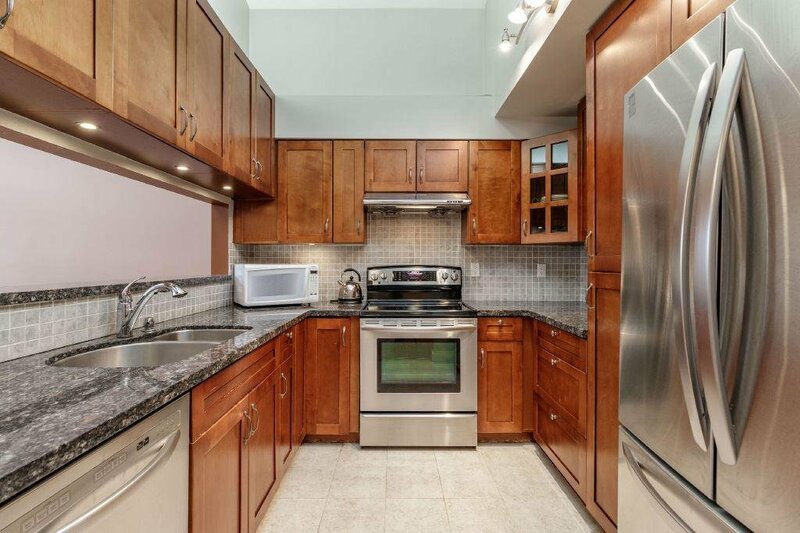 Immaculate, very bright south-east facing home. 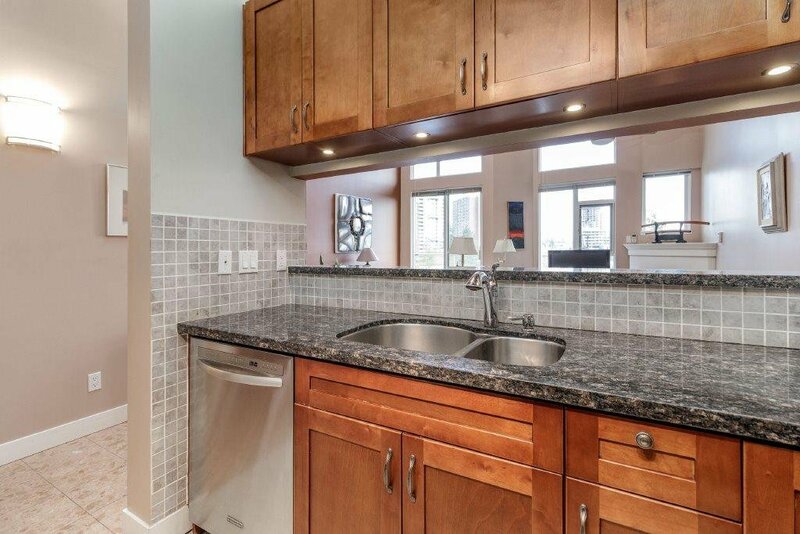 Gourmet kitchen with tons of wood cabinet space, granite counter tops and S/S appliances, updated flooring. 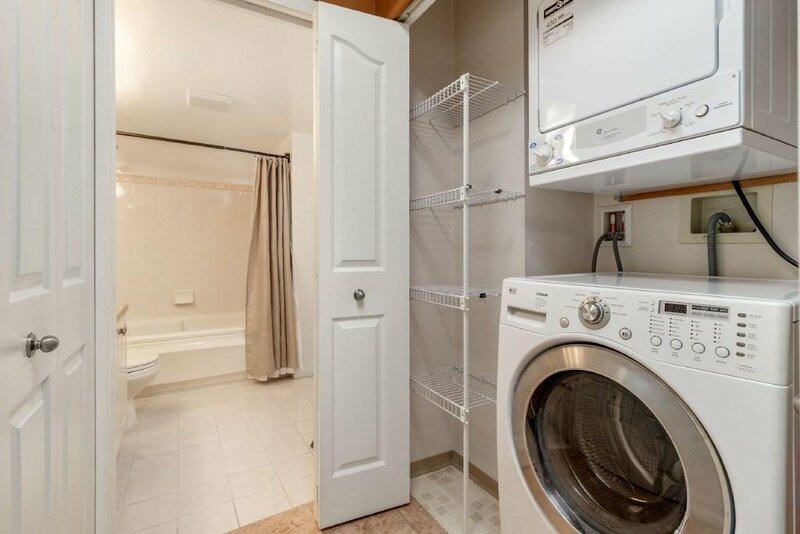 In-suite laundry, a storage locker and a parking spot in a secured underground parking area. 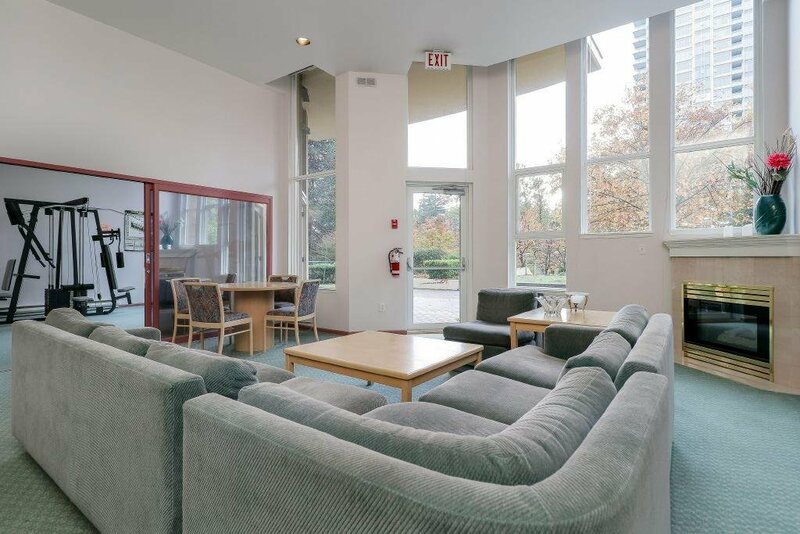 A very quiet location in the building. 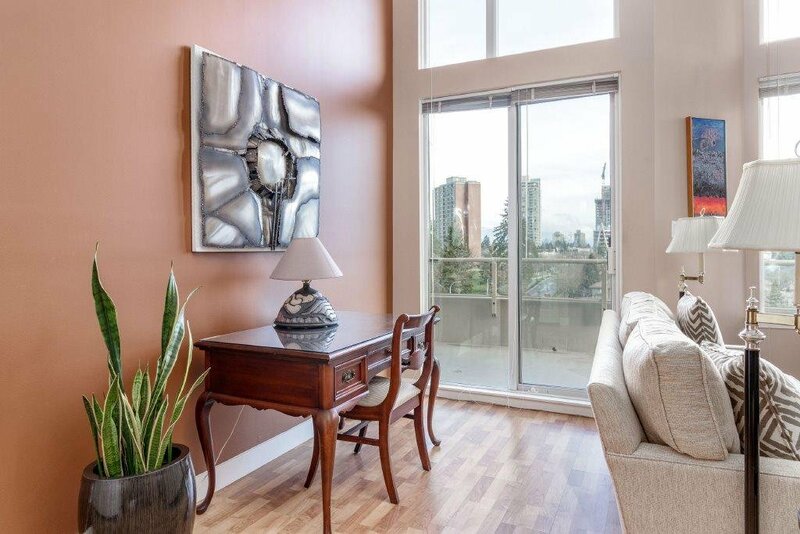 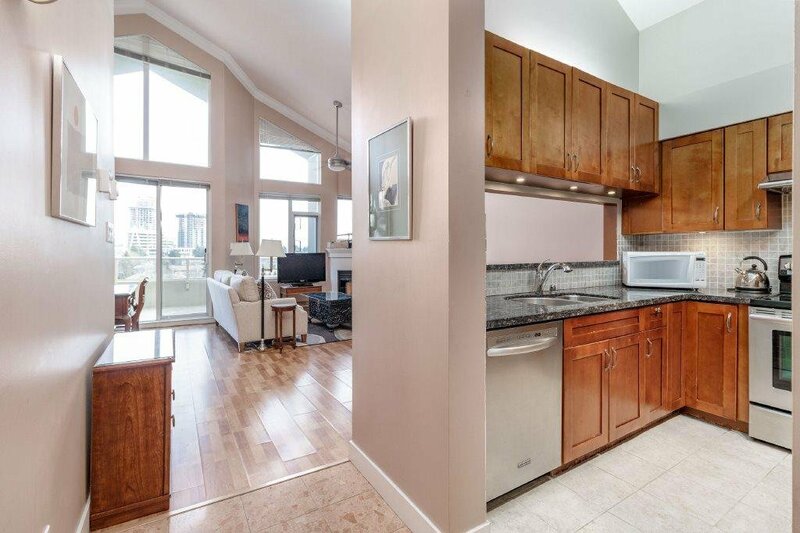 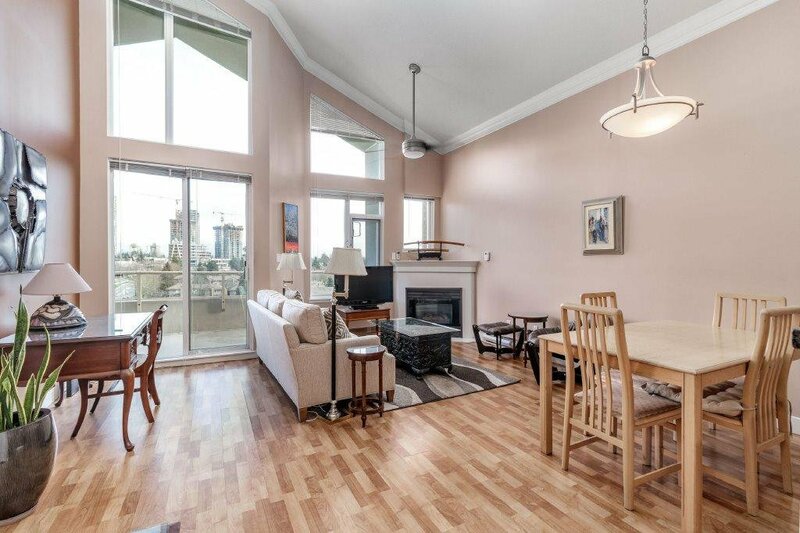 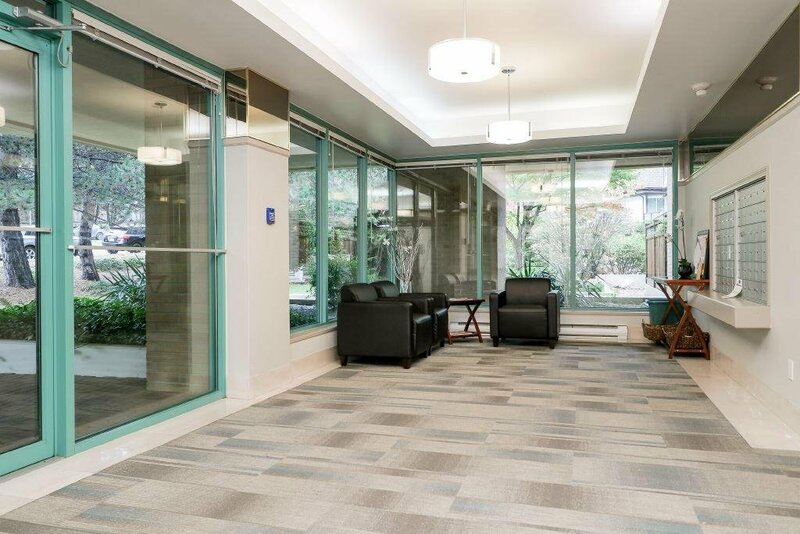 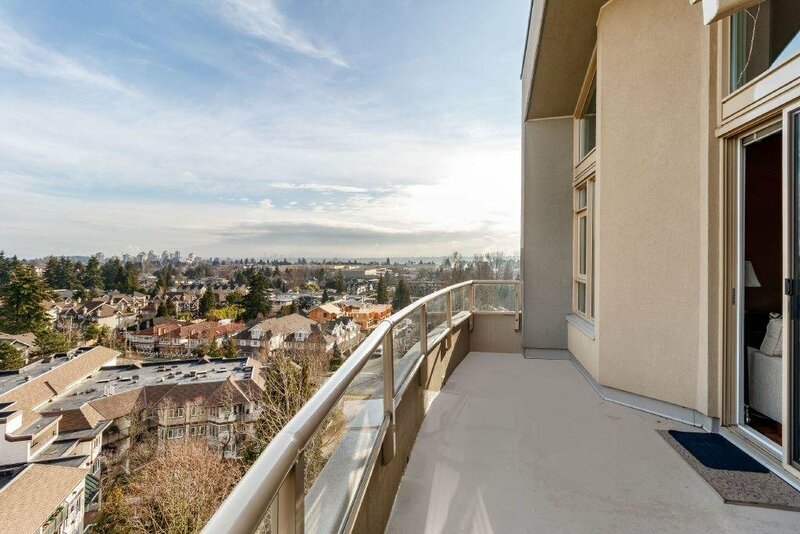 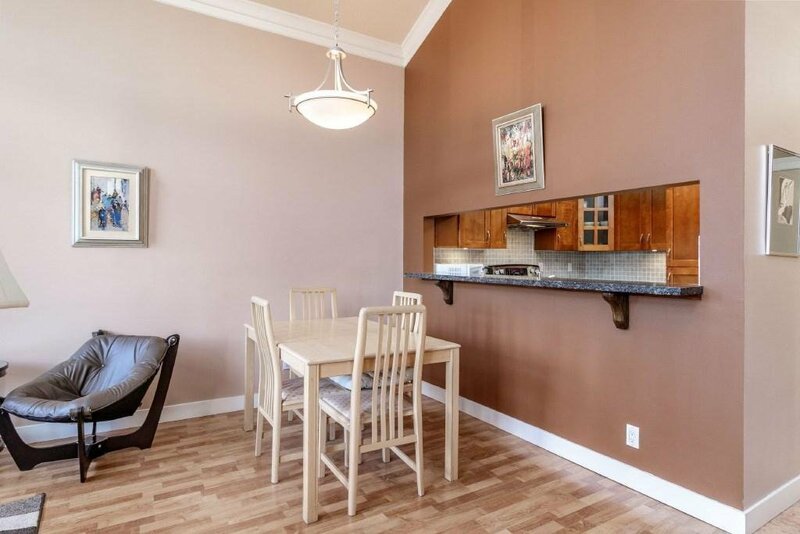 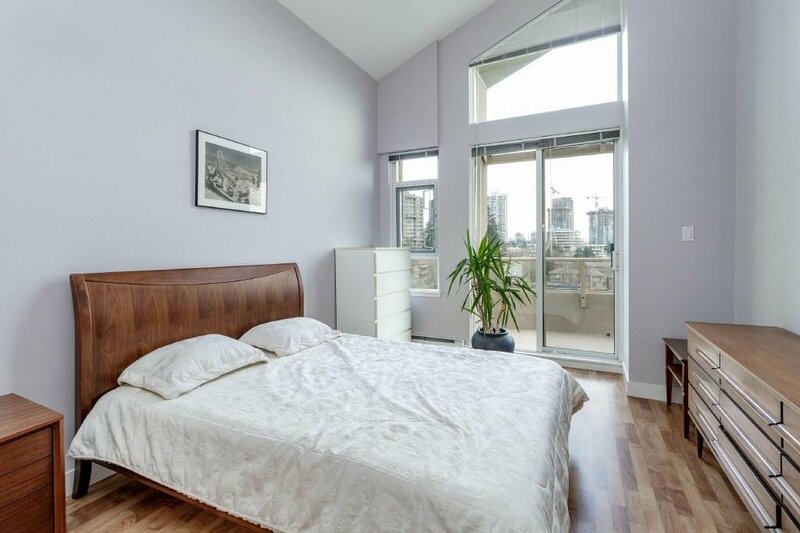 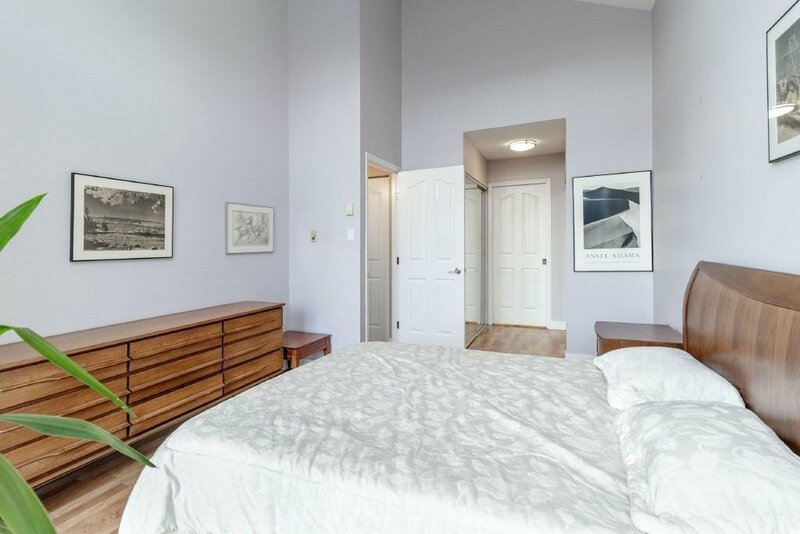 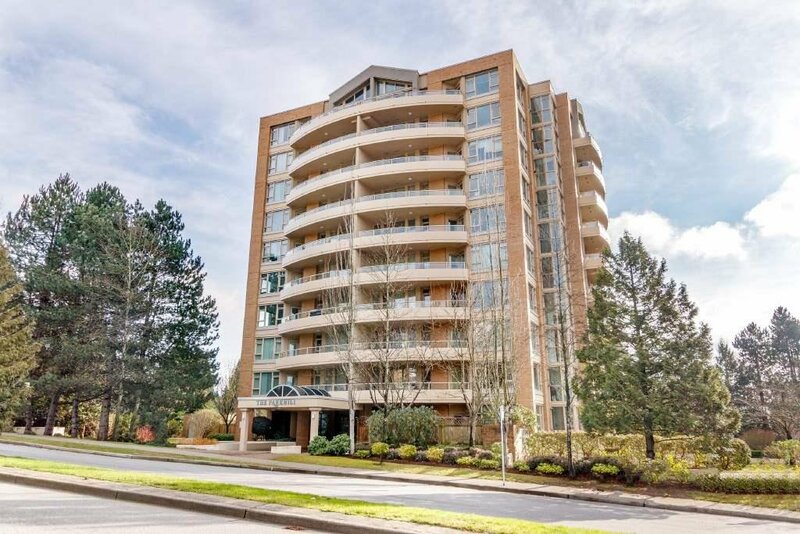 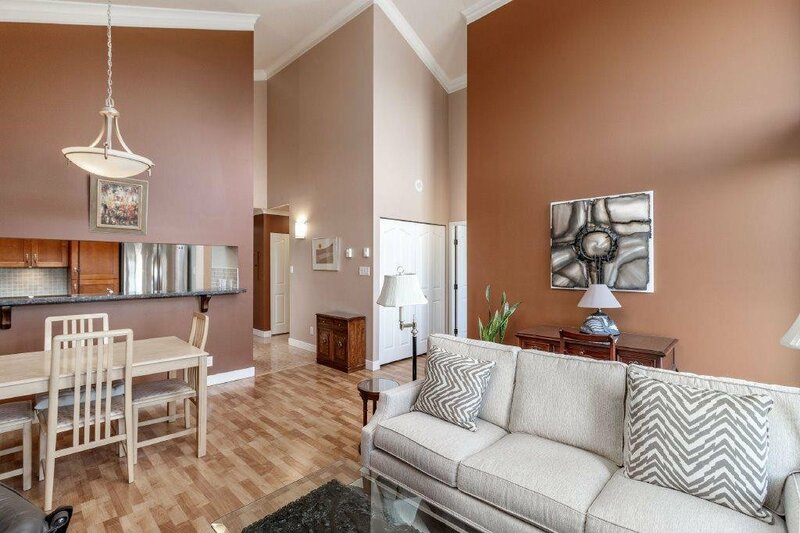 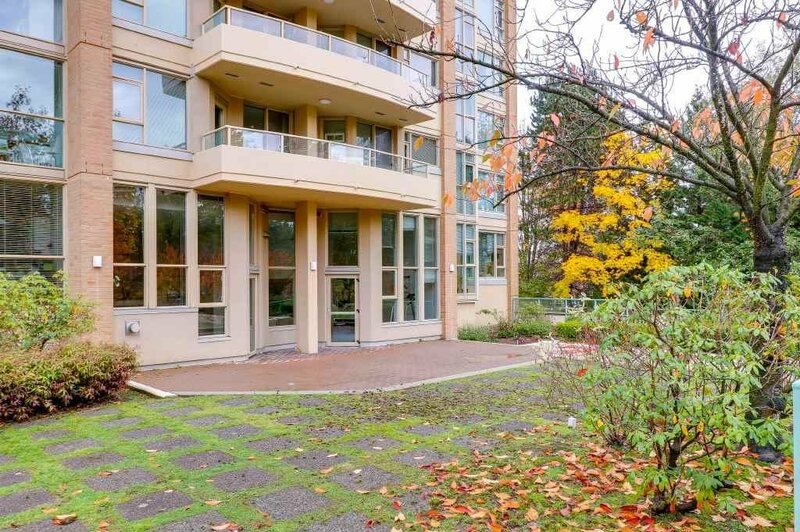 Walking distance to sky train station, shopping centre and a public transportation. 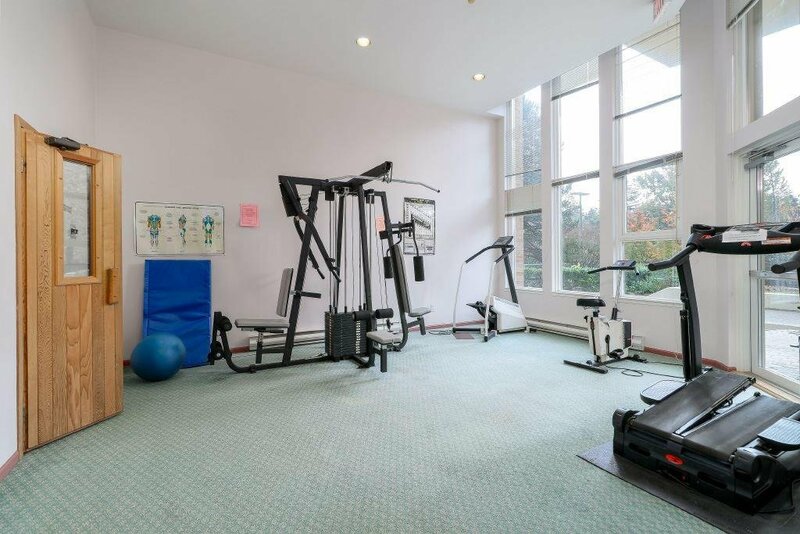 Amenities include bike room, sauna, exercise room, and a party room. 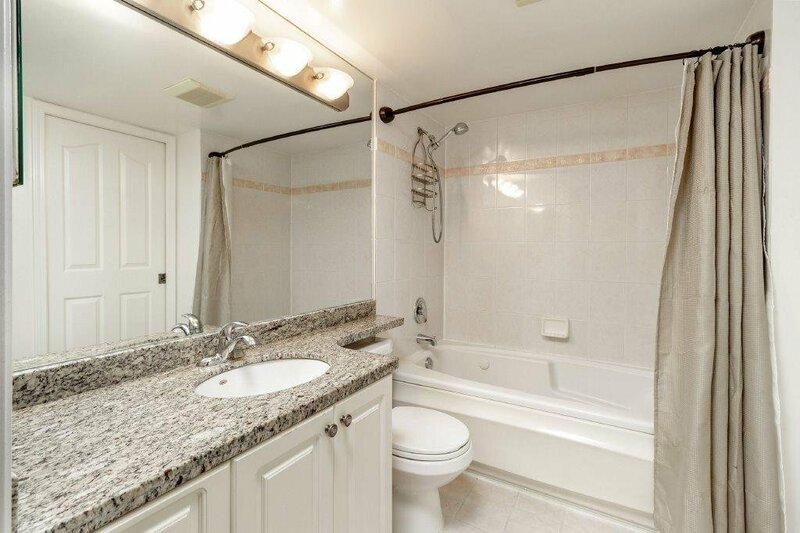 A fully rain screened building with new plumbing and new carpets. 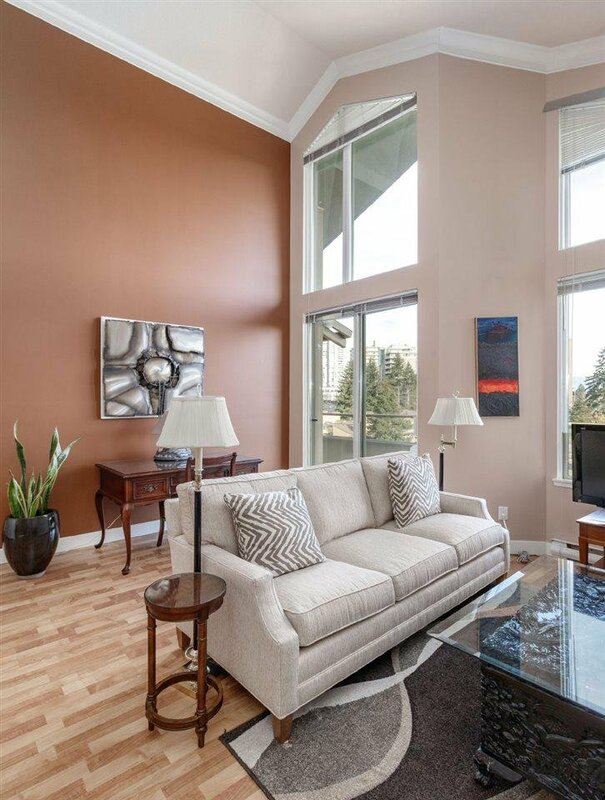 Open house Sat April 13th, 1:30-3PM.